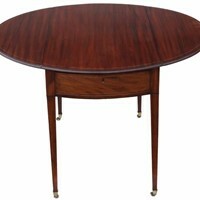 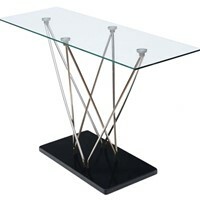 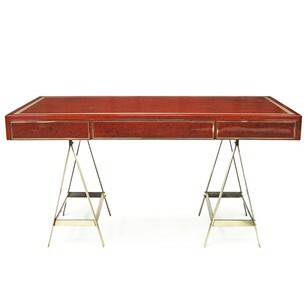 1970's console table designed and manufactured in the USA. 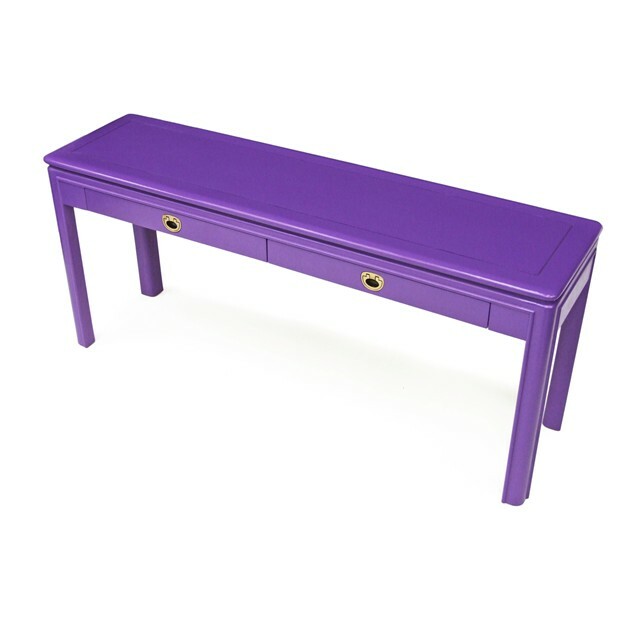 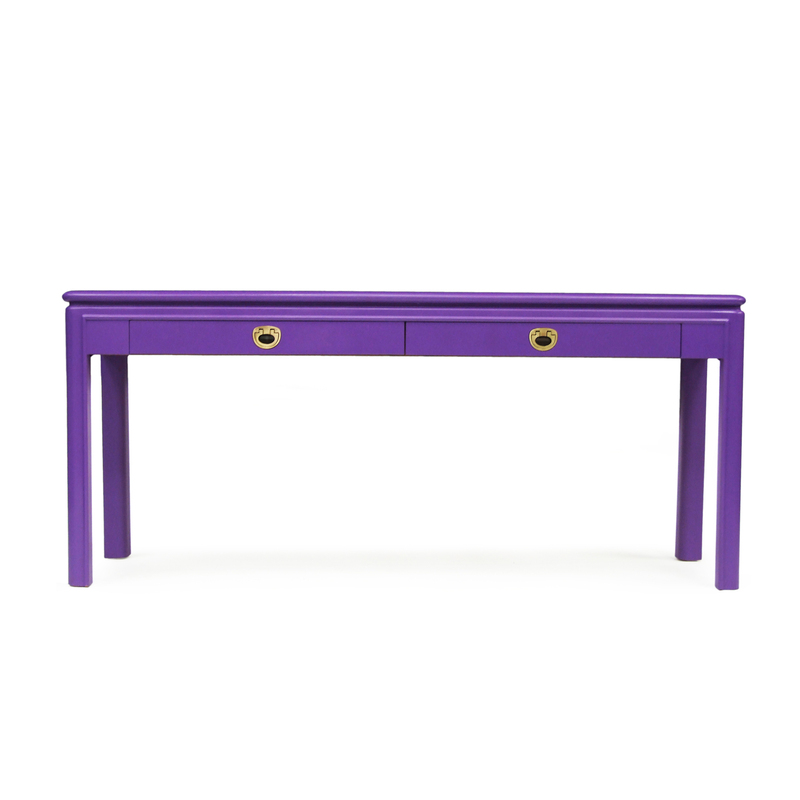 Purple lacquered unit with two matching drawers. 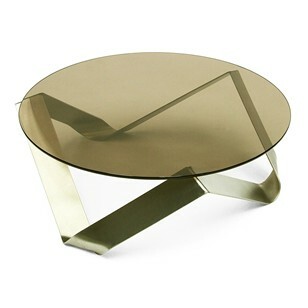 Brass handles.